I love these! This is the same paczki dough as the jelly-filled “Polish Doughnuts.” The only difference is the filling. 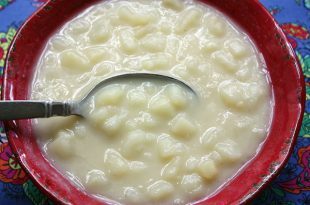 This version includes my recipe for homemade custard. This is simple Polish comfort food you can make in 20 minutes. 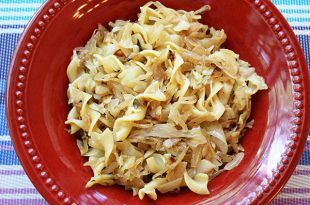 Cabbage and onions are fried and mixed with egg noodles. 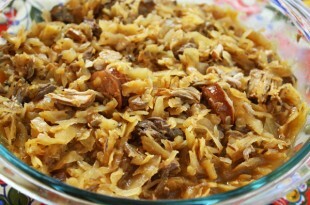 Try my sauerkraut version. 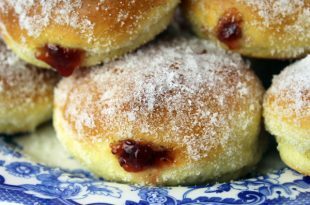 Traditional Polish pączki are fried but with my healthy recipe they are oven-baked, then filled with jam. 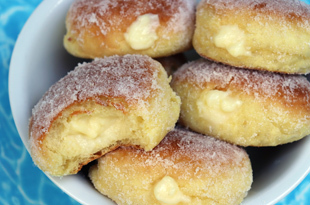 Try my other recipe with homemade custard filling. Both are smaczny! 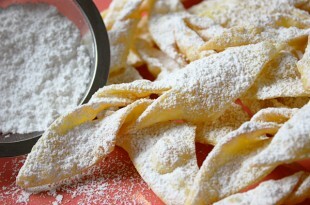 My mother, Zosia, taught me to make these delicate Polish Christmas cookies. They simply melt in your mouth and make a stunning presentation. 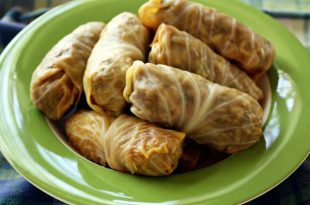 I’m sharing my Polish heritage with a simple recipe for cabbage rolls stuffed with ground sirloin, rice & mushrooms – it’s one of my most treasured recipes. They freeze well. 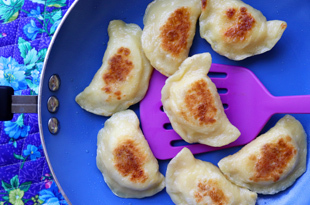 My family recipe for Polish pierogi uses a delicious potato-cheese filling. Serve freshly boiled or lightly pan fried. 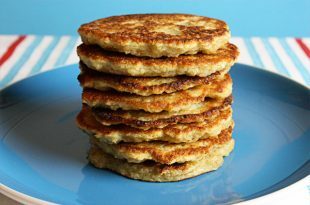 Potato pancakes don’t have to be greasy… or hard to make. My simple, easy recipe uses a food processor and there is a trick that I use that makes these the best ever. It’s potato soup but my dad called it Zupa Kartoflana. 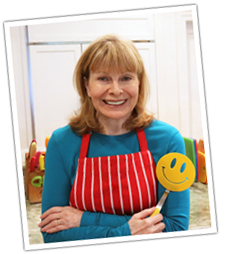 Mine is a simple recipe that takes just 30 minutes. 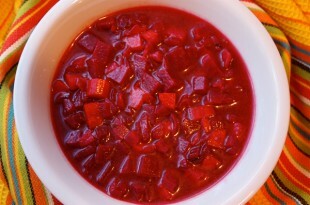 For the Polish experience, stir in some sour cream before serving. This is Polish peasant food at its best. Sauerkraut, cabbage, mushrooms, beef, and pork are slow cooked for 2 hours for a hearty pot of comfort food. 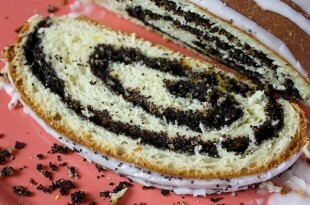 A traditional sweet Polish holiday bread filled with poppy seeds, citrus peel, and almonds. The recipe is easier than you think. Make it once and you’ll be addicted! 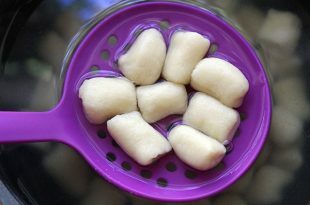 There’s no place you can buy gnocchi as good as homemade. It only takes three ingredients to make the most tender dumplings, great with any sauce.